Like many newly retired people, Wetzel County, West Virginia, resident Nancy Raper had lots of plans and dreams of how her daily life might be different after retiring. Unfortunately, Nancy did not have much time to dream or plan anything. Because less than two months after her retirement, Nancy suffered a heart attack. 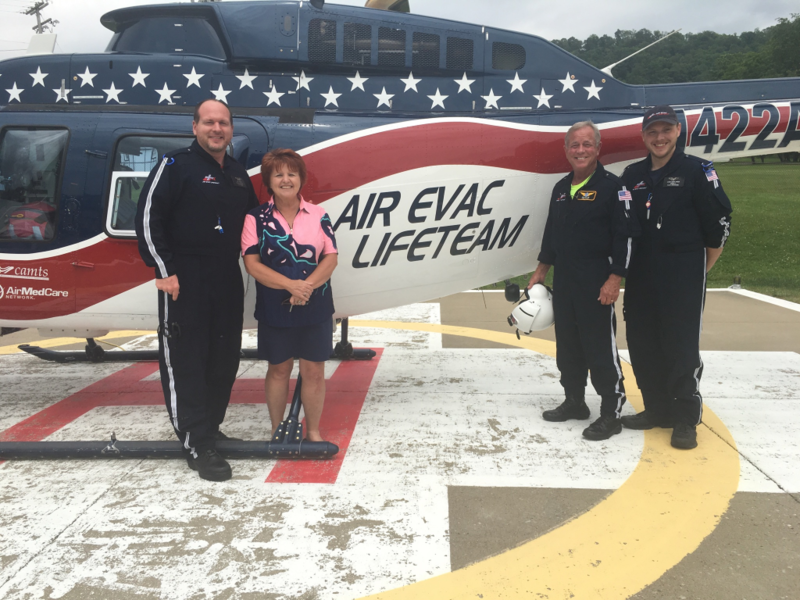 Nancy ended up having a heart attack in New Martinsville, and luckily, the Air Evac Lifeteam crew from Wetzel County returned from another flight just in time to transport her to Wheeling, where she received stents. The heart attack was scary enough, but Nancy wondered if insurance would cover her flight. Now Nancy can happily live out her retirement with the peace of mind that comes with AMCN membership.